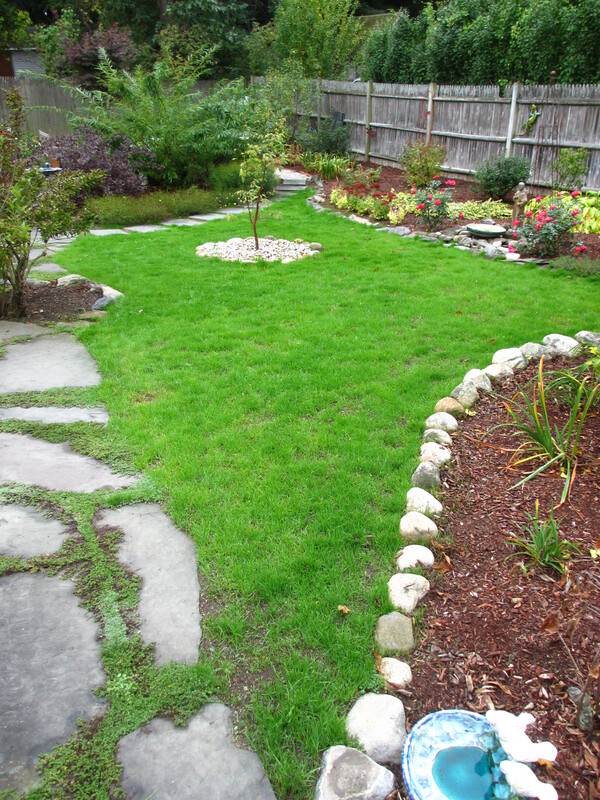 Of all of the perennial plants in the garden, growing a lush, green lawn has been the most challenging over the years. When my grandfather was alive, maintaining the perfect lawn was his obsession. The entire yard consisted of a moderate sized vegetable garden and the greenest, weed-free lawn in the neighborhood, if not the entire City of Nashua. 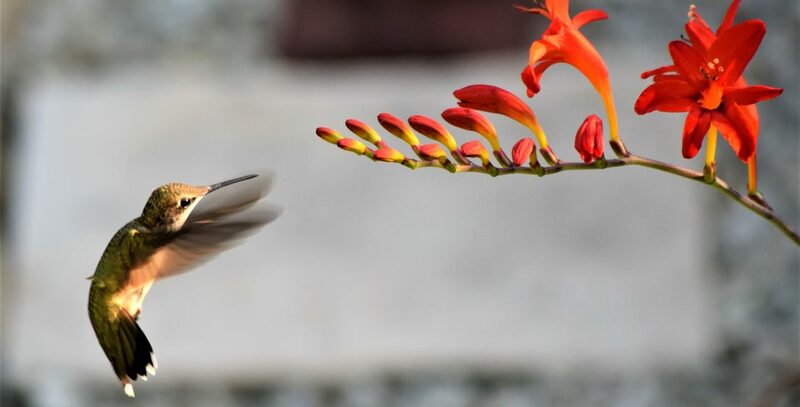 As the years have gone by, the lush lawn has evolved into large perennial gardens of local plants and flowers, most of them drought and deer resistant. However, there are two areas of the backyard with grass — each about the size of a putting green. The paths through the gardens wind around these patches of lawn. After the removal of an old, dying cherry tree about 7 years ago, the grass just wasn’t doing well while the tree’s roots rotted. As a result it was replaced with fresh loam and sod (about 6 years ago). It looked beautiful, but without an irrigation system, it required a lot of water. Yes, so much water that that the first water bill of that summer was outrageously obscene. Thankfully, the investment resulted in lush, beautiful grass until the oak tree abutting my property that gave nice shade was removed last summer. Like the cherry removed a few years earlier, it was a dying, large, old tree. It was dropping 10+ foot branches and was a hazard to the neighbor’s home and the fence on our property line. The tree became more of a concern after the dangerous, late October storms 2 years in a row – the Halloween Snowstorm and Hurricane Sandy. The removal of the oak in the late spring of 2013 dramatically changed the sunlight across the entire garden. Overall, the evolution to a full sun area was good (actually great!) for the majority of the garden. After some research and a little desperation (for a few days, I considered buying that “As Seen on TV” product called Hydro Mousse! 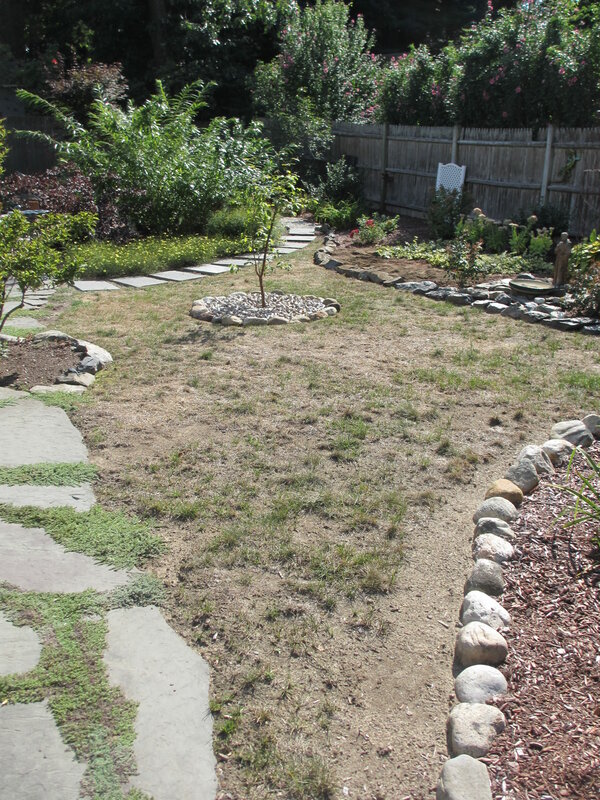 ), the reality hit that the dead sod needed to just be removed and a new lawn had to be planted. Timing was perfect for this late August decision because fall is the best time to plant a lawn and focus on caring for grass. On September 4, a landscaper started the project. In an hour, he and his crew removed what was left of the old, dead sod. On September 5, he stopped by for another hour and spread fresh, new loam. Then, on the morning of September 6, the Tall Fescue grass seed was planted. He actually planted 2 layers of it. Today, marks week 4. I’m just amazed at the transformation that has occurred in 28 days. There are still some small open patches that will be tended to in the spring, but the grass is once again soft, lush, and green. It’s the kind of lawn that makes you want to kick off your shoes and walk barefoot across. Exactly like you’d expect of the green, green grass of home. Categories: Garden Tips, Gardening Inspiration, Uncategorized | Tags: fall, garden transformation, grass, green lawn, lawn, NH, sod, vegetable garden | Permalink.